Outlandish acts of skill, comedy and grace. If you’re after circus entertainment that glows, circus entertainment that makes you laugh, or circus entertainment that entertains, keep reading! 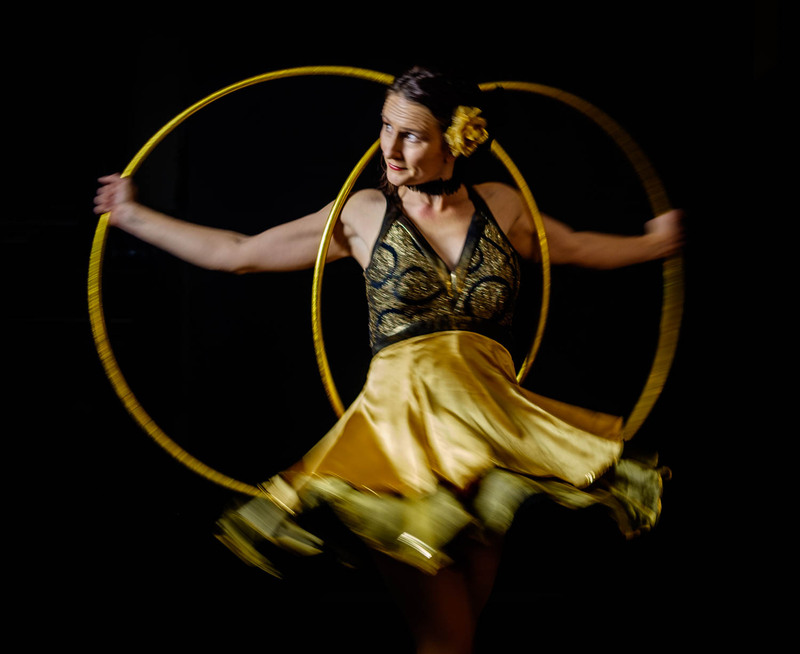 My acts are made with stylish hula hoop moves, zany characters, diverse circus skills and hilarious comic timing. With me you can be assured the audience are more than impressed – they are Entertained. Contact me for a unique circus entertainment option for your event! I create and design entertainment packages that are illuminating, engaging, and expand audience through physical comedy and circus. My shows have been performed in over 20 countries, in 5 languages. I bring a professionalism, style and skill that makes my circus inspired entertainment – unique and unforgettable. On this site you will find an array of circus entertainment options to suit all needs. The new costumes have landed! Check them out on the Hula Illumination page, and watch the video above! 5 1/2 Ways was a great success at Halloween, and we are in training to make it even better! With new acrobatic moves, and comedy routines. Keep an eye out for it in 2019 – we’re heading to Kiama in April. And you can check out our teaser here. On behalf of Lithgow City Council, I would like to thank you and your team for the spectacular show you created for 2014 Lithgow Halloween Block Party. The positive feedback Council has received for the show and workshops has been fantastic and everyone is looking forward to the next event. Once again thank you for a very professional and stunning show. “The Hula Illumination act is great. Something different and a great way to get people’s attention. Great for a corporate event when looking for something different and outside the box”.